Rarely do I buy a game on release day, and even more rarely do I finish it in short order, but my love of the original Transformers line is such that I felt compelled to jump on Transformers – War For Cybertron immediately. 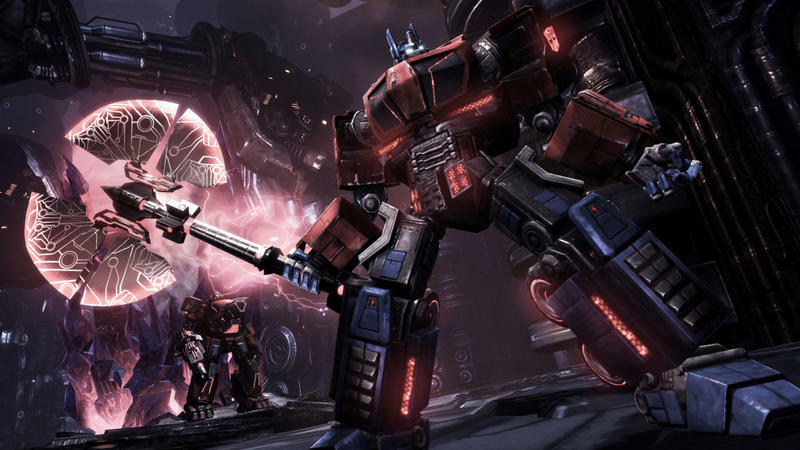 Set several millenniums before the original 1980's cartoon, Transformers – War For Cybertron tells the story of the final days of the Autobot and Decepticon civil war before the two factions left their home on Cybertron to continue their war elsewhere. Considered "cannon" to the 25-year-old storyline by toy manufacturer Hasbro, this game fills in a lot of gaps we had in the story — such as Starscream changing sides to the Decepticons — while also adding totally new elements, some that even leave you with more questions that a future game could fill in for us. Make no mistake, this game is definitely set in the Transformers cartoon universe, and not the one being concocted by Michael Bay and his train wreck movies. Even with that in mind, fans of the film may be a tad confused (especially by how Jetfire is portrayed), but they will have no problem understanding what is going on in the story, just fans of the cartoon will get a bit more out of it, especially from the final scene of the single player campaign. Overall this is easily the best game ever released for the Transformers franchise, and High Moon Studios get a heck of a lot more right than it got wrong. The transformation sequences for each of the characters is fantastic and smooth, a key element of this license, and there always feels like there is a good reason to use it, even if it is in the middle of a battle. At no time did it feel gimmicky or like a tacked on after-thought. Aside from being pretty to look at, how does it play? While the campaign tells an interesting story, it doesn't feel all that well integrated with the gameplay. What I mean is it feels detached and almost like you are racing through the fights just so you can see what happens next. And there is also the repetitive nature of the fights. After you've played through a few levels, believe me, you've seen just about every turn the fights will take. You get somewhere and … oh, gee, I'm so surprised to see the same enemies I've already fought two dozen times. The Autobot campaign which comprises the second half of the game does introduce one or two new enemies, but you also get accustomed to them fairly quickly. There is also a small issue with the big boss fights that end each half of the campaign. The "big bads" can kill you with just one shot, but luckily there is some piece of wreckage you can stand behind that will just take hit after hit without ever being chiseled away at. I played the game on the Xbox 360, and I have to say I have never grown more weary of unlocking achievements. I swear the game gives you an achievement for taking three steps. The multiplayer has already received a patch to fix an issue with losing experience points when a host quits the game. Normally that wouldn't be a huge issue, but where the single player game gives you achievements for looking at it for more than ten seconds, the multiplayer seems to be a bit stingy with XP. Multiplayer allows you to play four different classes of Transformers (Scout, Soldier, Scientist and Leader), and each one is customizable with weapons, chaises and colors. The problem is that there is a fifth class, Prime, that you can not unlock until you've maxed out each of the other four, and with the way XP is going, I'm looking at being 2012 before I unlock it. Overall I would give the game an 8 out of 10, and would have given it higher had it not been for the repetitive factor and a couple of shortcomings in multiplayer. Despite the flaws, I still had a heck of a fun time playing it, and any time you get to hear Peter Cullen voicing Optimus Prime as he did in the cartoon and the films, it's a joy. What say you? Have you played it? What did you think of it?